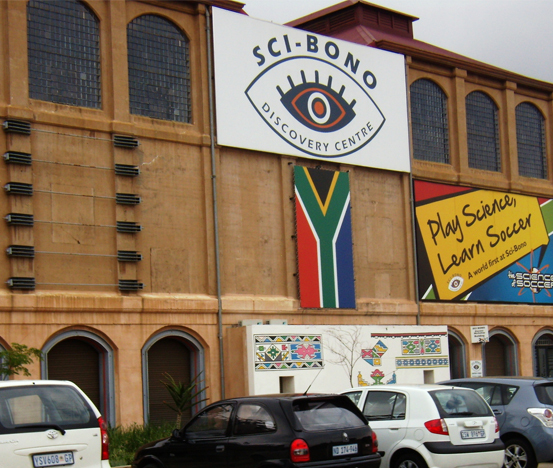 Sci-Bono is the largest science centre in Africa and consists of exhibition spaces, an auditorium, classrooms and laboratories, all geared to promote Maths, Science and Technology among young people. It also has restaurants, shops and ample parking. For more information, visit the website. Other Newtown attractions include the Market Theatre, Mary Fitzgerald Square and Metro Mall, to name a few. There are also a number of coffee shops and restaurants to choose from, among them the famous Gramadoelas, situated next to the theatre and offering traditional dishes such as bobotie and mopani worms. For more information on Newtown, visit the Joburg City website. There are public ablution facilities on Mary Fitzgerald Square, on the corner of Bree and Henry Nxumalo roads. And then you can return to Chancellor House Eastbound Station in Market Street to catch a Rea Vaya bus back to your point of departure, knowing a whole lot more about this fascinating city.